It’s Cinco de Mayo!!! YESSSS. 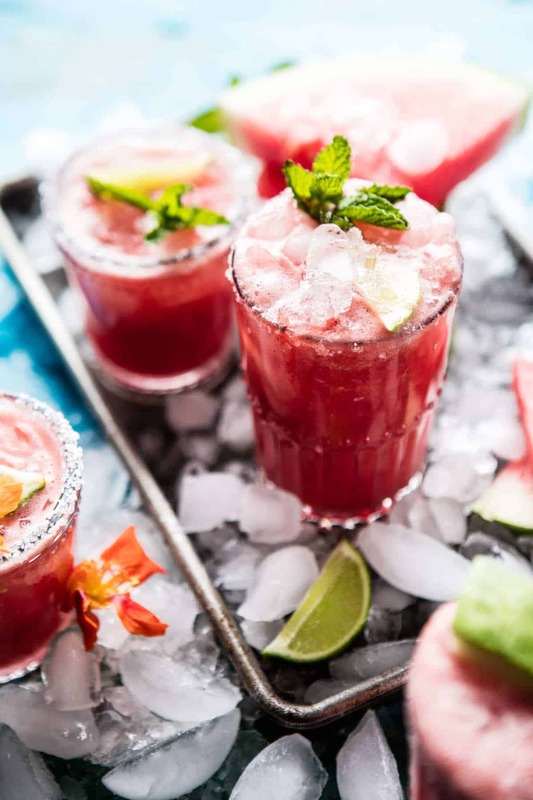 Obviously we need to celebrate this day accordingly with margaritas and all the Mexican food we can stuff in our faces … aka tacos, guacamole, salsa + chips… from now throughout the weekend. Yup, I am totally voting that we just start the weekend off right here, right now. I mean, everyone knows that Thursday is the new Friday, right? Okok, so I know we can’t be drinking margaritas all day long, but maybe tonight? And tomorrow for sure? Cool. In all seriousness though, happy Thursday and happy Cinco de Mayo!! I’m not sure how many of you actually celebrate this day, but I do think we can all appreciate some good Mexican food. Therefore, I thought it would be fun to list a few of my favorites… so here we go!! …carnitas. I mean of course. …a killer carnitas bar complete with salsa, guac, fries, cheese, and everything in between. SOO GOOD. 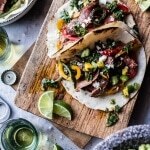 …steak fajitas. fast easy and delicious. …baja fish taco with mango salsa. a must for any Mexican feast. …Mexican grilled chicken cobb salad. for some lighter, but still tasty eats. …spicy grapefruit margaritas. the perfect amount of kick. I could honestly go on and on and on… because I have way too many Mexican inspired recipes, but for today I’m just going to stick with these. You’ve got to tell me though, what are you guys making tonight!?!? Alright, so these margaritas. I cannot lie, they are kind of my everything drink. Like I am not big on alcohol, but these margaritas, they are just the BEST. So fresh, so light, so pretty and perfectly sweet. 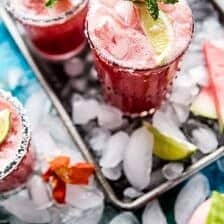 Watermelon has got to be one of my favorite summertime treats ever, so these margaritas basically just take me to a crazy hot July day, hanging out by the water, eating watermelon and sipping pretty drinks with umbrellas in them. You can make these drinks two ways. The first way is classic, just simply poured over ice, and the second is frozen. I like frozen best, because again, it takes me back to summer, and back to my younger days of slushies from the snack bar. The flavors of the watermelon, cucumber and mint are really ones you cannot beat. 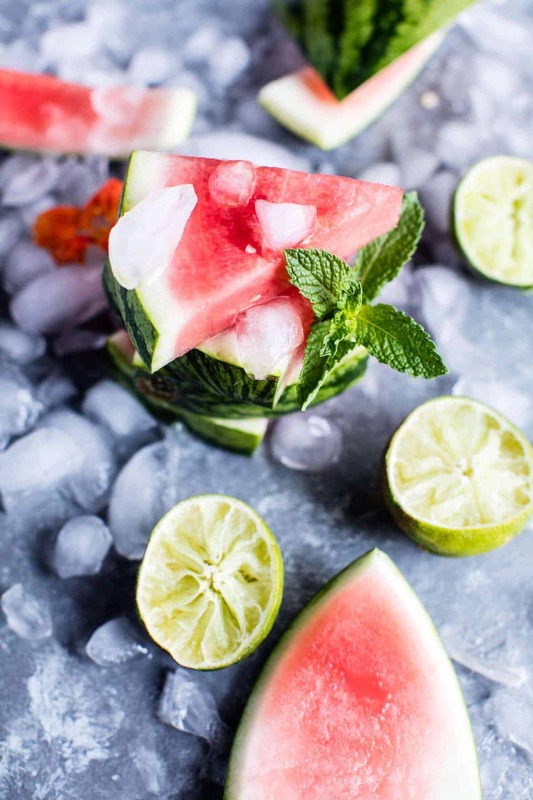 Both watermelon and cucumber are super refreshing as is, but when you pair the sweet watermelon with the cucumber, it’s kind of like a double punch of freshness + a kick of sweetness. The mint just seemed logical to me. It’s fresh and pretty and, I dunno… I liked the sound of watermelon and mint together. And that’s that. These margaritas will be ready to for consumption in ten minutes tops! 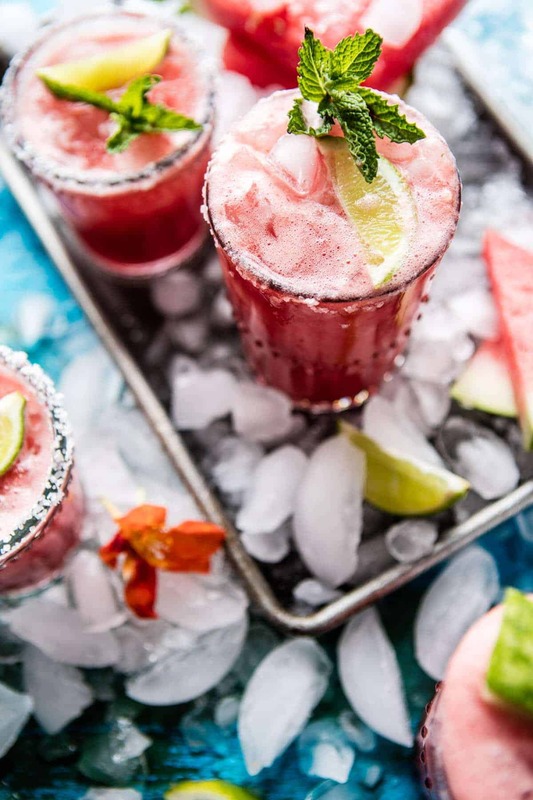 And no matter what your weather forecast is looking like today, these Minty Watermelon Cucumber Margaritas will make you feel all summery inside…okok and they go AMAZINGLY well with a bowl full of guacamole, chips and all the tacos you can get your hands on! Cinco de Mayo, I’m ready for you! The flavors of the watermelon, cucumber and mint are really ones you cannot beat. 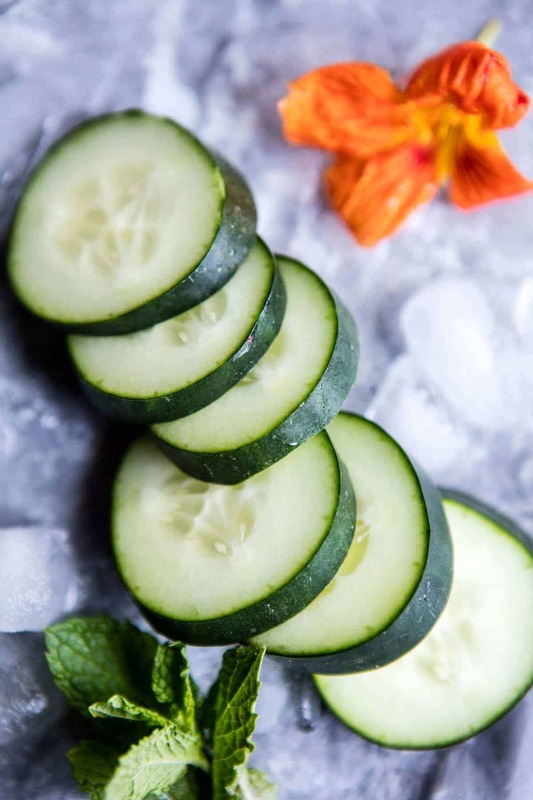 Both watermelon and cucumber are super refreshing as is, but when you pair the sweet watermelon with the cucumber, it's kind of like a double punch of freshness + a kick of sweetness. In a blender, combine the watermelon, cucumber, tequila. lime juice and agave. Blend until completely smooth. Strain the mixture through a fine mesh strainer. Add the mint to the bottom of two glasses and muddle the mint using a muddler or the bottom of a rolling pin. 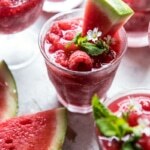 Fill the glass with crushed ice and pour the watermelon mix over the ice. Gently stir to combine. 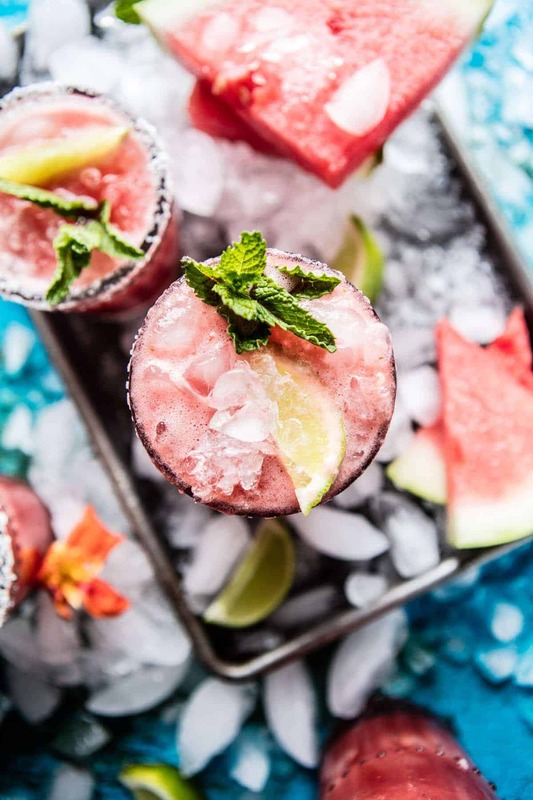 Garnish each glass with a watermelon wedge and fresh mint leaf. DRINK! In a blender, combine the watermelon, cucumber, tequila, lime juice and agave. Blend until completely smooth. Strain the mixture through a fine mesh strainer. Return the juice to the blender and add 1 2/3 to 2 cups ice + the fresh mint. Blend until combined and slushy like. Divide between two glasses. 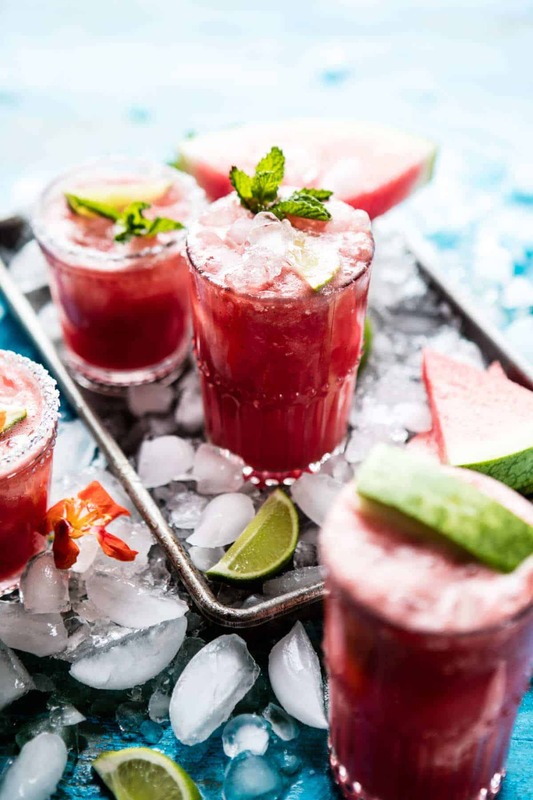 Garnish each glass with a watermelon wedge and fresh mint leaf. DRINK! Oh yeah! 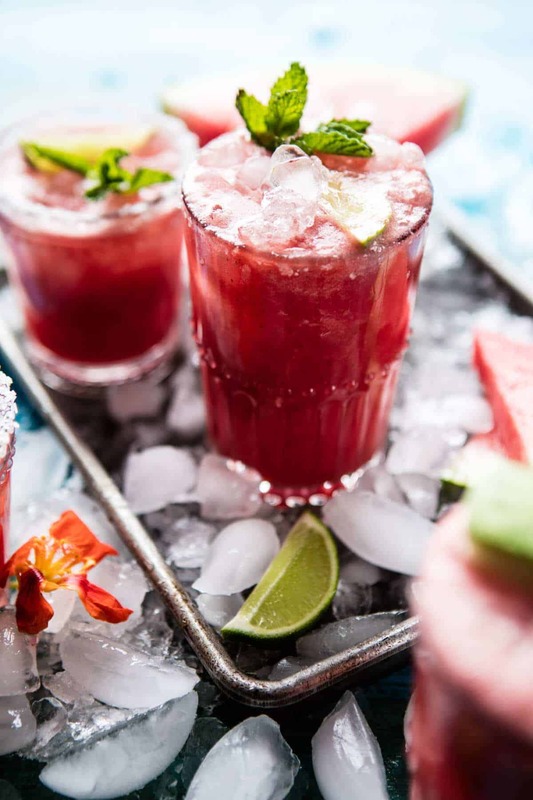 This is definitely how to do Cinco de May right, I mean, could these drinks be any more vibrant or refreshing!!!!!!!!! WOOHOO! Thanks tori!! Happy Cinco de mayo!! I would love nothing better than to celebrathe the date with chill margaritas, but the weather here today is begging for warm tea or hot chocolate, sadly. might just kep these for cinco de junho!!! Awh man! That’s the worst!! Haha! Cinco de Junho is it!! Happy Cinco de Mayo Tieghan! You’re bringin’ it with these margaritas! They are making me wish it was summer too! Your photos just scream war, hot, sunny days! I love the cucumber, watermelon and mint combination! So incredibly refreshing. And yes, everyone know Thursday is the new Friday! Ha! AH!! Thank you!! I need summer!! It really is the new Friday though! Haha! Happy Cinco de mayo! I feel like Cinco de Mayo must be your favourite holiday… Haha! Watermelon, cucumber and mint make an amazing combination. Great work! It might be!! Thank you!! AH! Yum! I love watermelon….well…anything. These are no exception. Perfect! Thanks Gabriella! Happy Cinco de mayo! That watermelon and cucumber combo sounds awesome! So delicious! Thanks Katrina and happy Cinco de mayo!! I only have one question? Why not drink margaritas all day? I mean it’s Cinco de Mayo. . .so it’s okay, right? Can you tell I am a die hard margarita (on the rocks, please) fan? This watermelon cucumber combo sounds so refreshing. 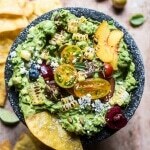 Perfect for summer cookouts (and Cinco de Mayo, of course). LOL! I agree!! All day sounds great!! Im glad you like them!! Thanks Lynn! And happy Cinco de mayo! these look AH-MA-ZING! wish I had one right this second – can’t wait to try! Thank you!! Hope you love them Janel! Happy Cinco de mayo! Sounds AMAZING! I hope you love them!! Thank Kate and happy Cinco de mayo! Gorgeous. Happy Cinco de Mayo! Thank you!! Happy Cinco de mayo Deb! 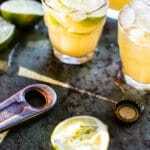 I KNEW I could count on you for a Margarita recipe today! Woo hoo. That’s what I came here looking for today. Thanks Tieghan. I can’t wait to try this. YAY!! Awesome!! Let me know what you think! Thanks Amber! Happy Cinco de mayo! Drinks loaded with refreshing ingredients are my favorite! Wohoo!! Thank! Have a great Cinco de mayo Kari!! How gorgeous are these margaritas! Just what my Cinco de Mayo needs :). This looks so yummy – I cannot believe how delicious it looks. Thank you soo much Angela! Woo!! Thanks Meg! So happy you liked them! Sounds like a perfect pair! The recipe asks for English cucumber but your picture is of a regular one. Either or will work just fine. English cucumbers do have a high water content however. Let me know if you have questions. Hope you love this!